There’s a humble little stall that operates out of a small coffee shop nearby home that’s really a treat on cheat days. 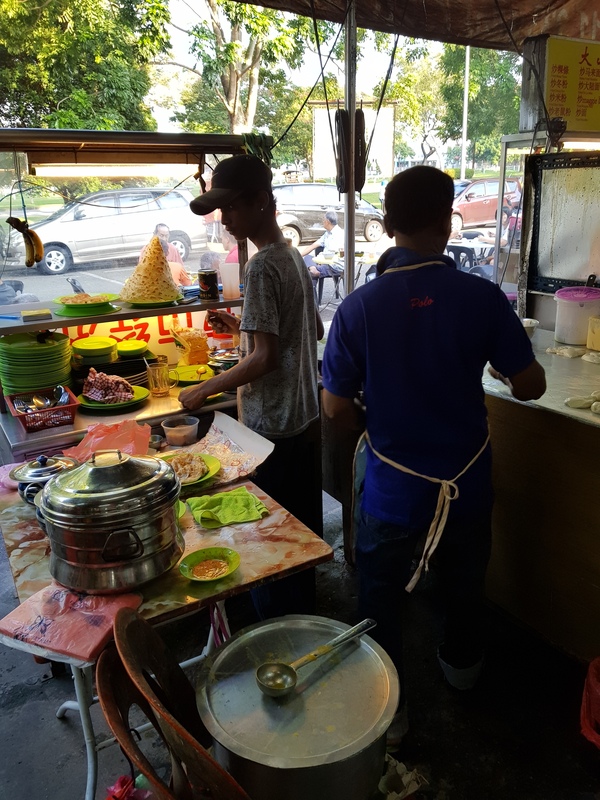 Selling the Indian fried flat bread called “roti canai” accompanied by a dhal curry with a dollop of spicy sambal, this hawker is usually assisted by either his wife or his son. Not what you would want to eat frequently because of the ghee (clarified butter) that’s used in the preparation that makes it sinfully tasty and smells so good. 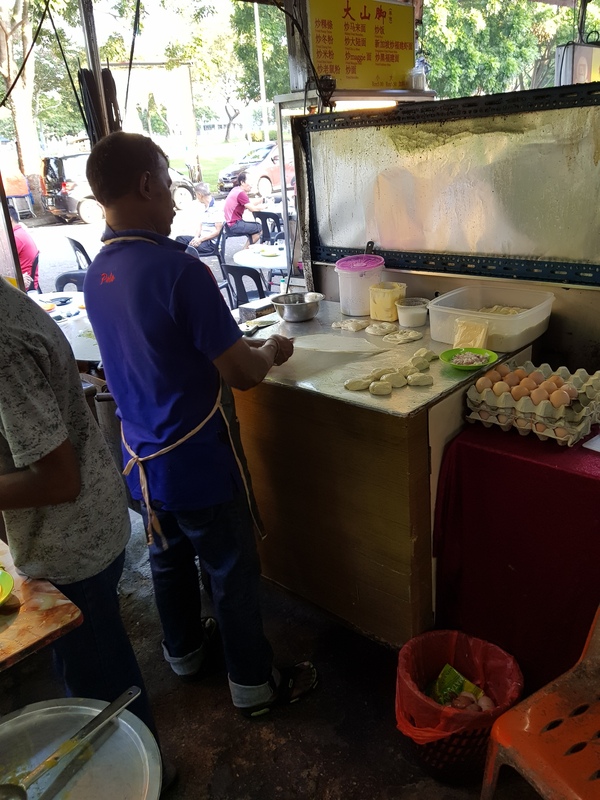 The oily dough is pressed flat and flipped a couple of times to spread it out thin and then folded into a square which is then pan fried till crispy and golden. Eaten with an accompaniment of a dhal curry, it guarantees a hearty and filling breakfast that lasts well till lunch time. Here’s where the guy is located.